On October 28, an Imperial of a 1961 Château Petrus is expected to sell for $150,000 at a Columbia Yacht Club wine club in Chicago. The record is still the $310,700 for a 1945 Château Mouton-Rothschild sold at a Sotheby's auction. 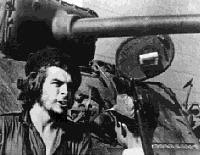 A lock of hair from Ernesto Che Guevara, the famous socialist guerrilla fighter sold for $119,500 at auction. It was sold by Heritage Auction Galleries in Dallas, and the successful bidder was a Houston bookstore owner. If you thought that you need to be an Arab Sheik to own a mega yacht, you would be mistaken, since many top executives of publicly traded companies own luxury yachts also. A mega yacht is considered to be a very large yacht, over 225 feet long, which has a professional crew. The longest yacht, which is scheduled for delivery next year, is the Eclipse, owned by the Russian billionaire Roman Abramovich. The Eclipse is 525 feet long, beating out the second longest, the Platinum/Golden Star owned by the Sheik of Dubai, by only two inches, at 524 feet, 10 inches. The "The Beverly House Compound" is up for sale, only $165,000,000. This 75,000 square foot house has 29 bedrooms and 40 bathrooms. It was previously owned by William Randolph Hearst and Marion Davies. It was also the honymoon site for John F. and Jacqueline Kennedy. This 6+ acre estate is located only a few blocks from the Beverly Hills Hotel. Does your computer case look to bland and unassuming? Why not spice it up with a luxury computer case. Some are made out of wood (including padauk, lacewood and gonçaleiro), some are made out of stained glass, and one style looks like a miniature Japanese shoji divider room. A Hong Kong Sotheby's auction has sold a flawless blue diamond for $7.98 million, setting an all time record. The diamond was over six carats. 1. Make sure you actually visit the island, don't just be an armchair buyer. 2. If possible, rent the island for a week or two, so that you find out what island living is really about. 3. Check out accessibility. How difficult or easy is it to get to the island? How close can you get your yacht to the island? 4. Find out if there are governmental restrictions on buying or building on the island, especially if you are a foreigner. 5. How far do you have to go to get provisions? 6. Determine what communications capabilities you have. Cellphone service? Satellite? Great Hans Lollik and Little Hans Lollik Islands, $45,000,000, over 500 acres, off of St. Thomas,Virgin Islands, part of the United States. Offered by Vladi Private Islands. Unnamed Bora Bora island, $40,000,000, in the French Polynesia. Offered by Coldwell Banker Morrisons Private Islands. A previously unknown Faberge Egg is going up for auction next month with an estimated sales price of $18 million. Neiman Marcus just came out with their Christmas catalog which includes their famous Fantasy gifts. Make your fantasy come through with one of these ten great presents for yourself or your loved one. This great package includes 10 acres in the mountains of Paradise Valley, Montana. They will also throw in a gourmet dinner. Rocket Racing League Franchise $2,000,000 This gift is a franchise in an aerospace racing league. Includes the rocket with a custom-built trailer, training for the pit crew and the pilot, and a full year of ground support. The rocket jets race through the air at over 300 mph. A classic private holiday concert for 500 people by the Kirov Orchestra. They will throw in the Steinway Concert Grand Piano as a bonus. The highest priced hotel suite in Las Vegas is the Hugh Hefner SkyVilla at the Palms Hotel and Casino, which comes with an 8 foot circular rotating bad. And you don't even have to gamble. The top luxury car with the best fuel efficiency is considered to be the Mercedes-Benz E320 Bluetec. An auction for parts of the Concorde supersonic jet is almost over. It has been held in Toulouse, France and is expected to raise 1 million euros, which be used to fund an aviation museum. As an example, one of the jets toilets sold for $7,100.